When I was planning and building my tiny house, I had a lot of questions. I would go online and see other tiny house builders who had already solved the problems that I was solving, and I would email them. And I didn't always hear back. Each new problem led me back to another person who had already done it. Left without answers, I had to figure it out for myself. And I don't blame them. I really don't, because answering questions can become a big time commitment! I get a lot of reader questions. Most of them come through my Building The Tiny House Facebook Page, but they also come through my personal Facebook profile, the Tiny House Map, and other sources. It is your questions that inspired me to start blogging here again. 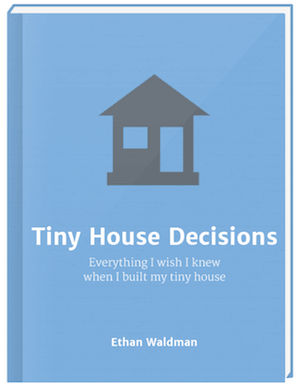 And it is your questions that inspired me to start writing down my answers in a more formalized way: Tiny House Decisions. I answer every single email that I receive, because I like to extend the courtesy that some kind tiny housers gave to me while I was building. I've been getting some really good questions lately, so I thought I'd share some recent ones with you here on the blog. What are some options on tiny home security/alarm system? I've never looked into it. I suppose you could install a typical home alarm system, as long as your house has a constant electricity supply. Since solar panels on the outside of the house, how would you keep them secure from theft? You could mount them permanently on the roof of the house, which would make it very difficult to steal them. What type of insurance coverage is available for a tiny home? What have you come up, that is energy/cost efficient to replace the Dickinson Heater? I'm still searching for a good solution. So far, the best I've found are direct vent style propane heaters. They are much larger than the Dickinson though. Why didn't you build your tiny house to be longer and wider than 8'6″ since you are pretty much keeping it at one site in VT? I wanted to keep my ability to move the house at any time, without having to get permission from any state or agency. 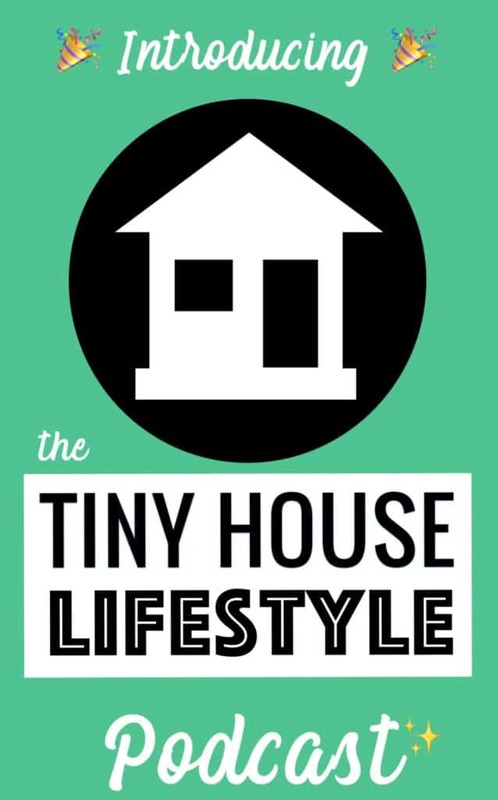 Why do you think so many people sell their houses after a short time on sites like TinyHouseListings.com? I think it's only a very small percentage of TH builders who are selling. Most TH people I know have not sold! Is it hot sleeping under a metal roof during the spring, summer, and early fall seasons? Why do so many tiny house people choose metal roofs? So far, so good. My house is very well insulated so I doubt the fact that the roof is metal makes any difference. Metal roofs are very wind resistant, so good for towing. Also they last a long time and can be easily installed by non-builders. Is overhead clearance a big issue? Overhead space isn't an issue for me- I'm 5'6″, so was able to design for that. I have seen tiny houses that are more ideal for taller people. Google the tall man's tiny house. 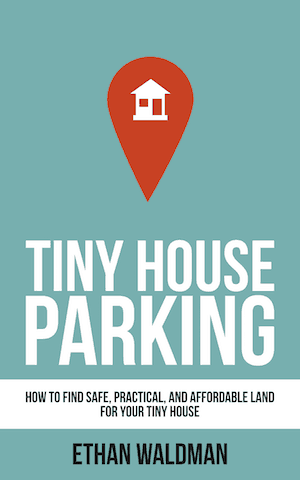 Where can we park a tiny house? The city/county does not make it easy to have one even if I would put it on a slab. it gets very confusing and frustrating. You've run into the same issue that a lot of prospective tiny house dwellers have. When you own the land it can be difficult to get permission. Many tiny house dwellers choose to fly under the radar rather than getting permission. If the house is on wheels, the worst that can happen is that you have to move it, which is unfortunate if you own the land. I highly recommend checking out Cracking The Code. How much does it cost to build a nice tiny house like yours and make it completely off the grid? It really varies. I spent about $40,000 on mine- including materials and labor, though it is not off grid. I have heard of people spending much less (less than half) what I spent on mine, depending on what materials they choose. Can two who love to cook still have happy cooking experiences together in a tiny house kitchen? It's definitely possible to cook almost anything in a tiny house kitchen. Check out the photos– I designed my house with a bigger kitchen then most tiny houses because that was important to me, and I never feel cramped! How do I pick or design my floor plan? Visit lots of tiny houses! What are some real life experiences and recommendations on towing for someone who wants to travel around the country in one? Build a light weight tiny house, if possible. An RV may be more suited to the constantly-on-the-go lifestyle. I’m a musician as well. I have had to limit what instruments I keep in the house. I have friends and family near by so I didn’t have to get rid of any musical instruments I own. Where are tiny houses allowed? I don’t have a list. It depends how “allowed” you want the house to be. For example, where I live I am technically not allowed to live in the house full time. However, there is no authority out “patrolling” for code violations. It’s all complaint-driven. How small of a house could I live in and still be happy? I think that really depends on you! I’m very happy in my 200sf home. I actually know someone who lives in a 36 square foot tiny home. Insane, right? How do you handle grey water? I have the good fortune (right now) to be parked on a property with an existing septic system. Check out Laura Lavoie’s blog about her greywater system. This should work as long as you don’t experience super freezing temperatures! How to make it work week after week, month after month… actually living there? I think you have to stay on top of your stuff- how much stuff you bring in. For us, that’s the hardest part. I've never wanted to have my tiny house on wheels, so zoning laws can be kinda tricky. Finding a location that will allow a tiny house, and then finding a piece of property that makes it worth it to have such a small house on it is another trick. My recommendation would be to work directly with your zoning office to get a variance for your house before you ever start building. You may have to “shop around” a bit to find a zoning office that is more progressive and will be willing to work with you. This very issue is one of the big reasons I went with a house on wheels. 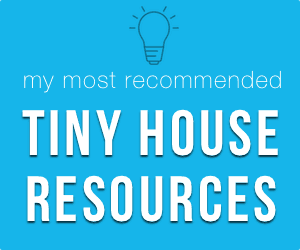 How do I get adequate storage space in my tiny house without making it feel cramped? You'd be surprised how much smart storage space you can fit into your tiny house. The only catch is, you can't have too much stuff! How can I get my conventionally living/thinking boyfriend to open his mind to the idea of tiny homes and how can one live in a tiny home and still live in a city like San Jose or San Francisco, CA? Honestly, living in a tiny house involves sacrificing many things to achieve other goals. Living in a city may be one of the things that you have to give up in exchange for more financial freedom. Making it work in a small space requires a lot of patience and shared goals. If your partner isn't into it, it may not be the best idea. WATER! I am so stumped on WATER. Yes, water is a challenge. You could definitely catch rainwater off the roof of your tiny house. My house has the ability to store water in a tank for later use or hook up to an existing pressurized system. The place where I have it parked right now has a water supply, so I haven't needed the tank yet. Mostly what is the best size overall and how does it tow, is it a long distance candidate? The smaller you go, the easier it will be to tow. An airstream or other dedicated travel trailer will be much easier to move around than a stick built tiny house. Toilets: I think I would rather flush but if you're not connected to sewer, how big of a hassle is that? It's a big hassle if you're not connected to a sewer or septic. You essentially then have a holding tank that needs to get emptied. Not fun. Why don't states like ours (I'm also a Vermonter, been here over 50 years) promote and encourage tiny house communities rather than reward monstrous show-homes that use solar? I hope Vermont or SOMEWHERE wises up to tiny houses. I think the best hope is Portland, OR. They are actively allowing them and trying to work them in to the code. I am wanting to make my house where you can plug it in, and have solar panels as well to live off the grid. I wonder if I should do both, if it's necessary? I think it's worth it to have both. While I'm still ‘plugged in', I designed the house so that it would be easy to convert to solar when I'm ready. How do I find a good trailer? I’m a big proponent of going with a new trailer. It’s a big expense, but it is the foundation of the house and you want it to last as long as possible. What about thermal and vapor barrier specifics both for framing and insulation solutions? My tiny house has spray foam insulation and I used the Zip sheathing system. So far, no issues with moisture buildup. It occasionally gets down to -20 or -30 here in VT, but the average winter temps are between 0 and 20 degrees. How do you dispose of compost toilet waste if you are renting land? Does the owner let you have a compost pile? I have a compost bin that I built from pallets. All food and human waste goes in. Do you use heat tape for your water source in the winter? I do use heat tape. The site has a septic system so my grey water goes into that. As long as you have a decent slope, it is rare for drains to freeze. Do you own a truck? I do not own a truck that can tow my house. I have borrowed/rented every time I need to move it. How stable is it as you walk around the house? It's very stable. I have it on 6 steel jacks and it does not feel like a trailer. Does living in the Tiny House help or hinder the creative process? Is it rewarding as a challenge to reinvent the day to day living devoid of some of the comforts we either take for granted or assume we can't live without? The tiny house absolutely enhances my creativity. The space is so comfortable, bright, and focused. I find when I work there (on writing, music, or anything else), I am able to stay way more focused and in the zone. The less options I have, the more creative I can be. Has the winter inside that space been difficult? Winter has been challenging, but not impossible. My main issue was that my heater needed a repair so I was relying on an electric space heater. Now that it's back, things are toasty again. If your house is on a trailer, do you go to the library and coffee houses for wi-fi or what? I actually have Wifi right in the house. The local phone company gave me a spool of wire for free and I ran it all the way from the bottom of the telephone pole, through the woods and up into the house! I want to know about designs & materials that would work well in a desert. Check out rowdykittens.com – they have a small window AC unit for their tiny house that doens't use too much electricity and seems to do a good job cooling the place down. What was your inspiration for doing the project? My inspiration for the project was complex- but mostly wanting to be self sufficient and not have to waste so much money on rent. There isn't much room for company, so I don't really have to manage it! My parents live a few miles away, so they're usually pretty generous with their guestroom if needed. I am concerned about heating. What is the best: propane or a woodstove? I'm strongly in favor of propane. Wood stoves need to be tended to and they require much more clearance from the wall. The propane unit I have is mounted directly to the wall. How did you find a place to park your tiny house? I am lucky to have some family members with land that they were willing to allow me to stay on. I think you would probably have success posting on craigslist or just putting the word out to everyone you know that you're looking for space. As I understand it, the widest that you can build, and transport on the road without a permit, is 8 feet 6 inches. My question is where is that measurement taken? I think the answer to your question depends on what state you're towing in. For instance, in VT the max width of the trailer and/or load is 8'6″. Of course, I've heard that people tow wider things all the time without issue- especially things like boats which tend to be wider up top. Can I really build this beautiful little tiny home myself? It's a lot of time and a lot of work. If you're okay with that, you'll learn the skills you need as you go. I want a tiny house but have 3 growing daughters. What would you say to someone like me? Is it affordable and can I do everything myself? It depends how affordable you want it to be! I started off with a budget of $25k and thought I would be able to do all the labor myself. I went over budget because I ended up hiring help. Did you decide to do on or off grid? I am currently on-grid, but opted for all propane appliances and LED lights in the event that I go off grid. Solar just wasn't in the budget. What kind of insulation did you use on walls and ceiling? I used spray foam insulation everywhere. What R value do you estimate? It's about R7 per inch and I have 3″. So about R-20. What type of trailer did you use? I used a 22′ steel flat bed utility trailer.